The Advent edition of our new regular opportunity to buy food and crafts in support of fair trade, justice and Palestinian farmers and craftworkers. Find unique Christmas gifts and show practical solidarity with an oppressed people. Hadeel is a Fair Trade shop in Edinburgh which has been offering this possibility for many years to the good folk of the (Scottish) Far East. 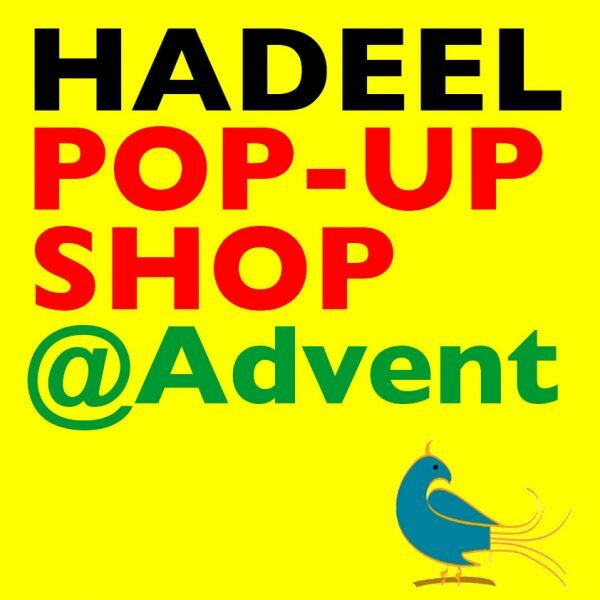 Now since November, weeWONDERBOX and Hadeel are collaborating to offer an outlet in Glasgow, both in occasional pop-up shop form and also through the possibility of pick-ups of pre-ordered products at the Iona Community’s Glasgow base. Today’s event will feature the pop-up shop, with plenty of time to browse, plus a short video which will play continuously offering up-to-date news on the situation in Israel-Palestine that affects the people and producers … and of course, refreshments. You can pre-order food or craft items for pick-up at the Pop-Up Shop on the 15th December; or at a another time from the Iona Community Base in Carlton Court.